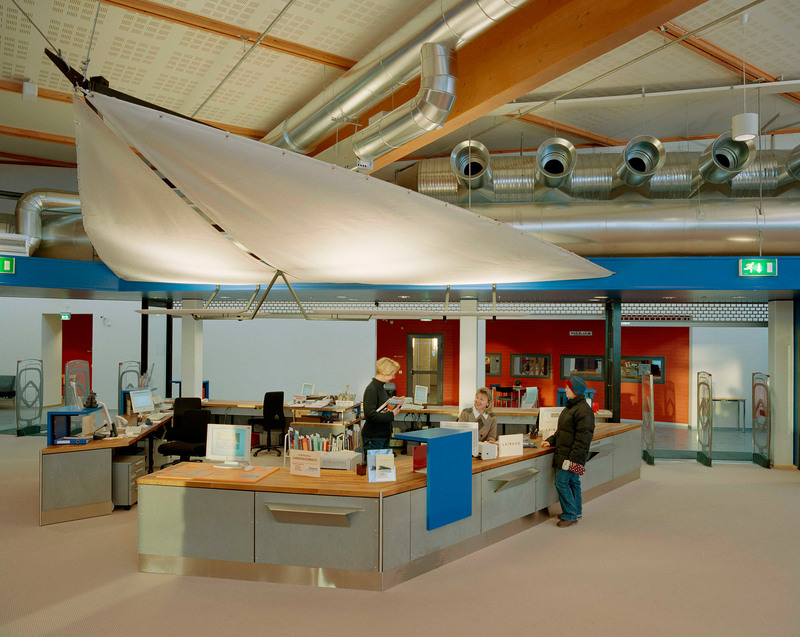 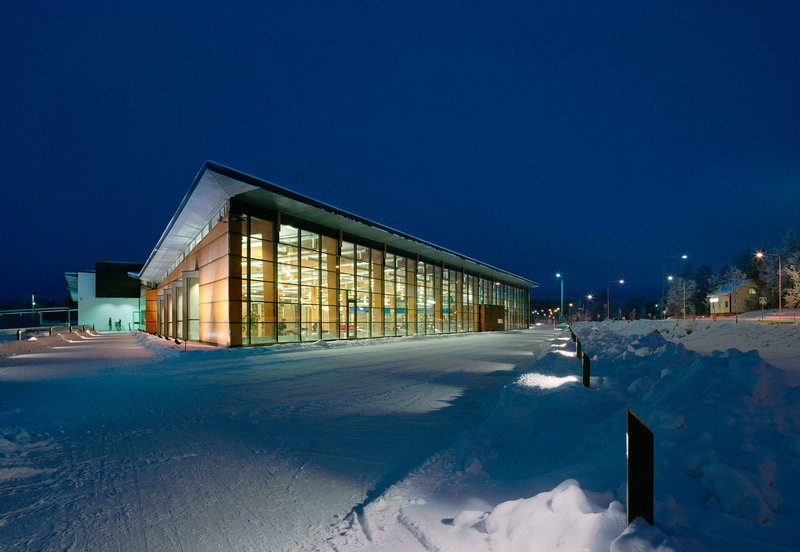 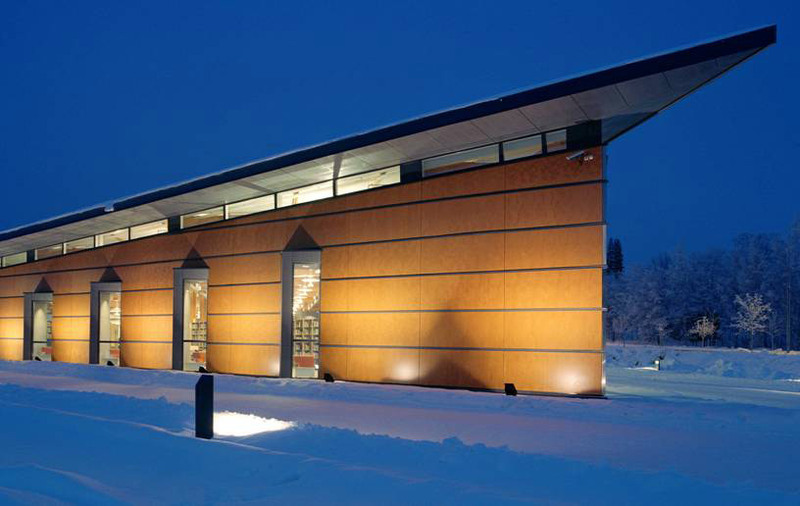 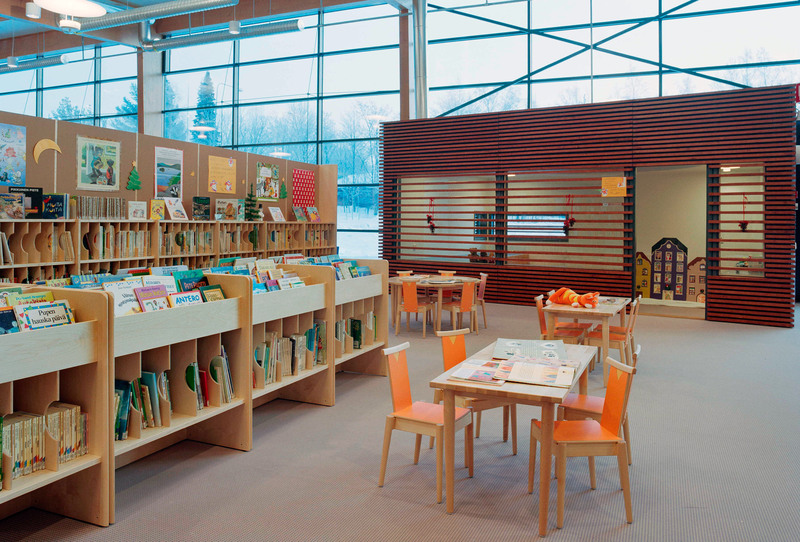 The Ylöjärvi main library “Kite” was opened to the public in November 2002. 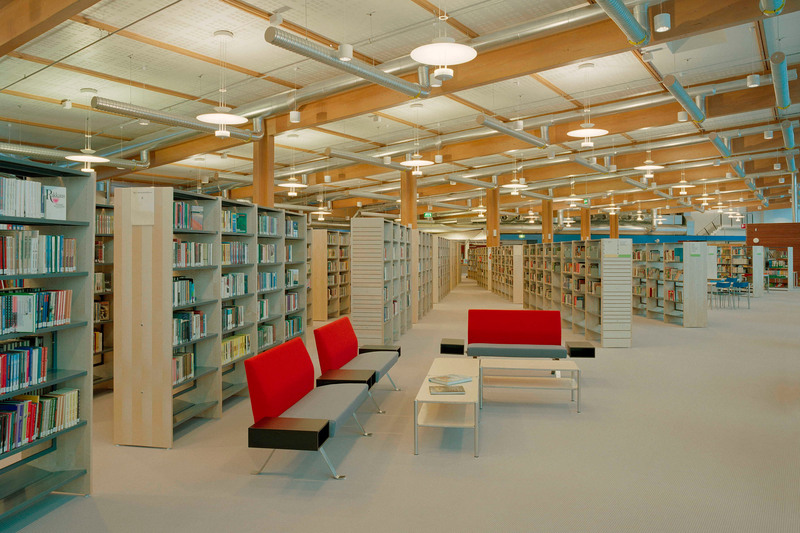 The library consists of two large triangles, and the avenue between them divides the space into public and staff areas. 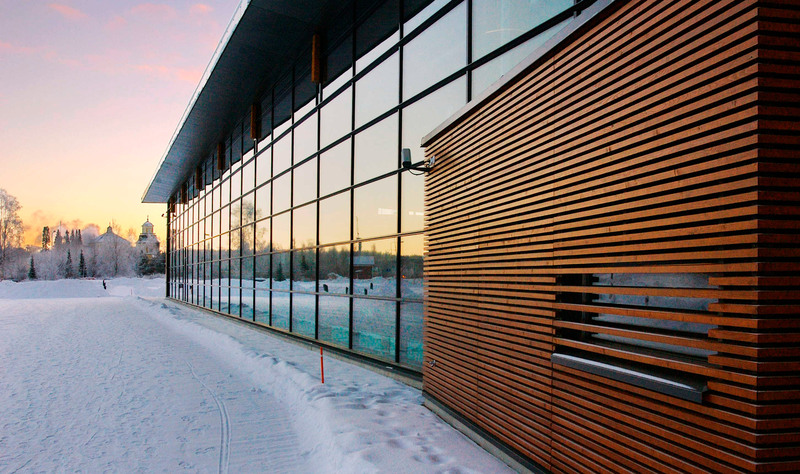 The interior was designed to be spacious and sunny: a long glass wall is facing Kuruntie. 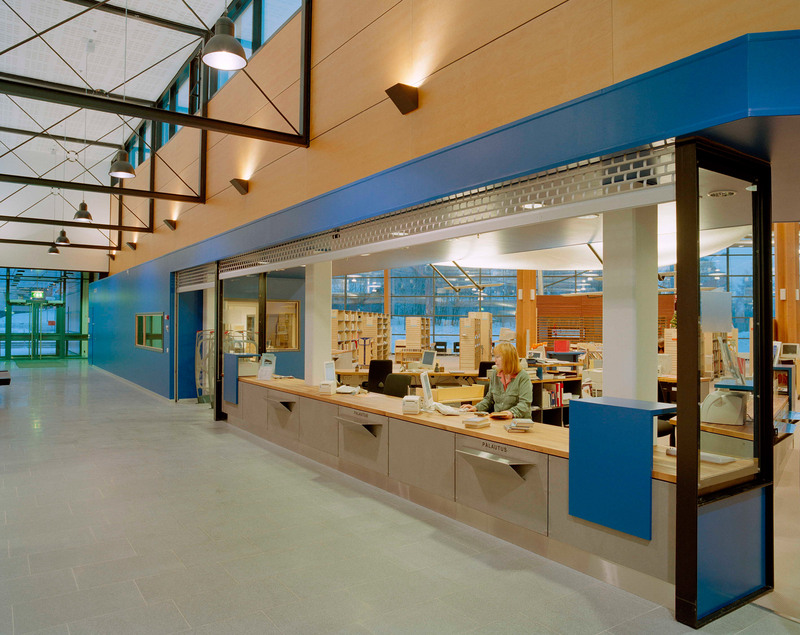 The main colour inside the building is a warm light brown accentuated with a bright blue. 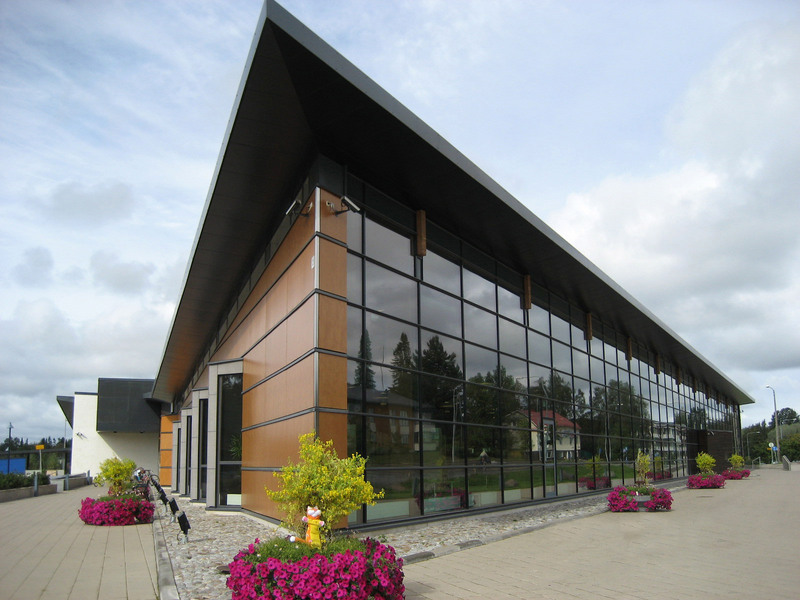 Kite-like features, like the triangular service point and the shape of the roofs, have been used in the architecture. 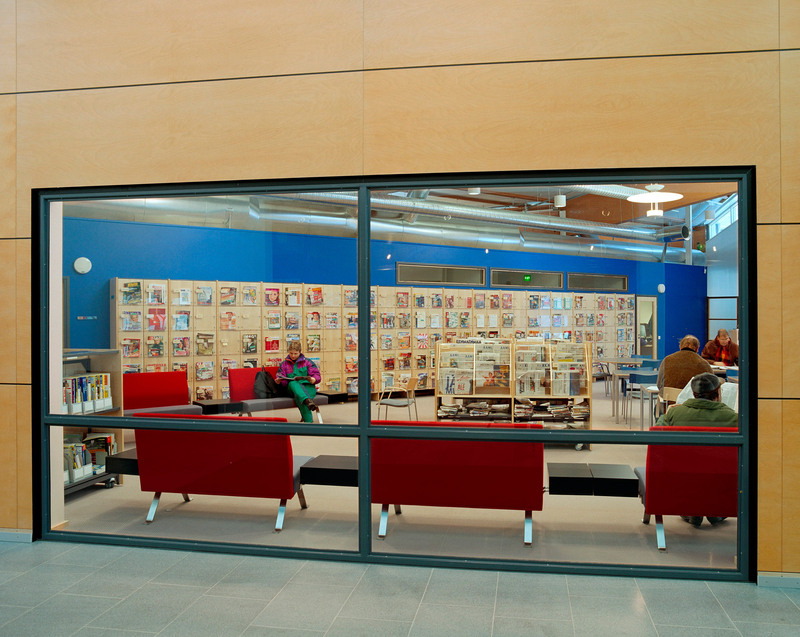 The library averages around 900 daily visitors who read newspapers and magazines, use the public computers, borrow books, films and music, visit exhibitions or just meet one another.